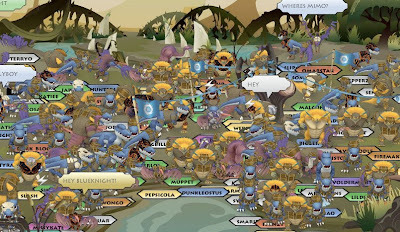 Club Penguin Cheats by Mimo777 Club Penguin Cheats by Mimo777: Biggest, Best and Final Mimo Webosaurs Party of 2009! 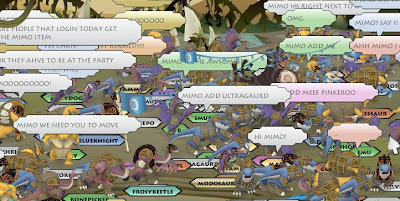 Biggest, Best and Final Mimo Webosaurs Party of 2009! 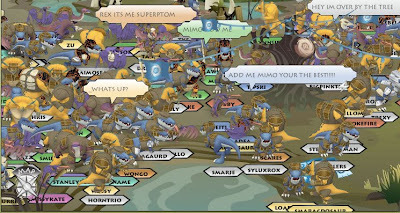 It's time to have one last HUGE Mimo Party on Webosaurs in 2009! 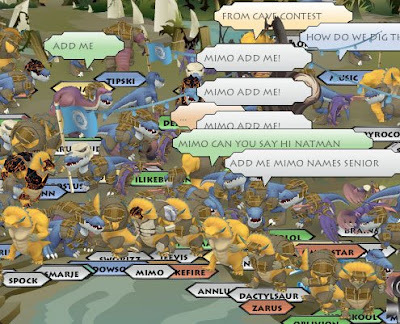 Check out our last Webosaurs party! This will be a BIG Party! Put your Christmas presents away. 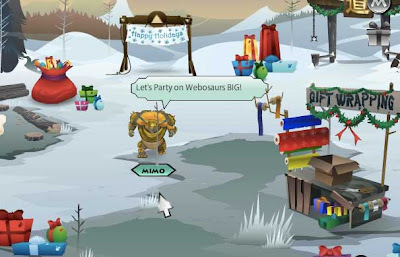 Eat your last Christmas cookie and get ready to party with Mimo on Webosaurs! GO CHECK OUT THE NEW WEBOSAURS WOOD CHOP GAME! I am going to be out of town... in the mountains far from a computer on Sat, Sun and Mon so dont expect me here then! Sorry for any inconvenience. Just came back from church and im in the CRISTMAS FEELIN! That's Mama Luigi to you Mario! HELP i got like 7 club penguin toys and i just typed one in, and i got the OLD coin book!!! any ideas? Yep, sorry australia but at least UK got a cool time so i can be there. Thanks Mimo! Of corse Mimo's popular, hes the most famous Club Penguin Cheat President. Mimo rocks! Yea its cool huh? BTW Mimo already posted about this. Check out his posts. 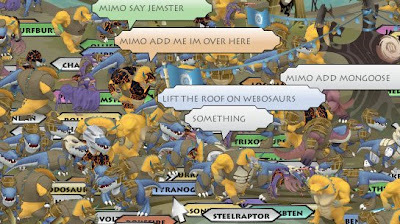 You should try out Webosaurs, it's a fun game! Hey mimo i was wondering, How old is your penguin? mine is 1065 days old. This is hard to judge but i think Mimo made the site in Late 2006- Early 2007. So hes around 1000 i think. Hope i could help! Ok, maybe you could try to get to one of his other partys. Yeah mimo posted about it, pretty cool huh.